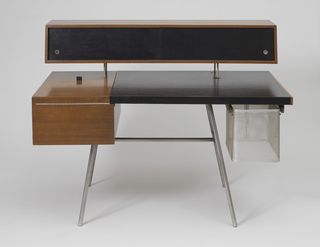 See more objects with the tag interior, streamlined, furniture, modernism, storage, offices, writing, muted colors. This is a Desk. It was designed by Paul T. Frankl and manufactured by Frankl Galleries. It is dated ca. 1933 and we acquired it in 2006. Its medium is lacquered wood, painted canvas, chromed metal. It is a part of the Product Design and Decorative Arts department. 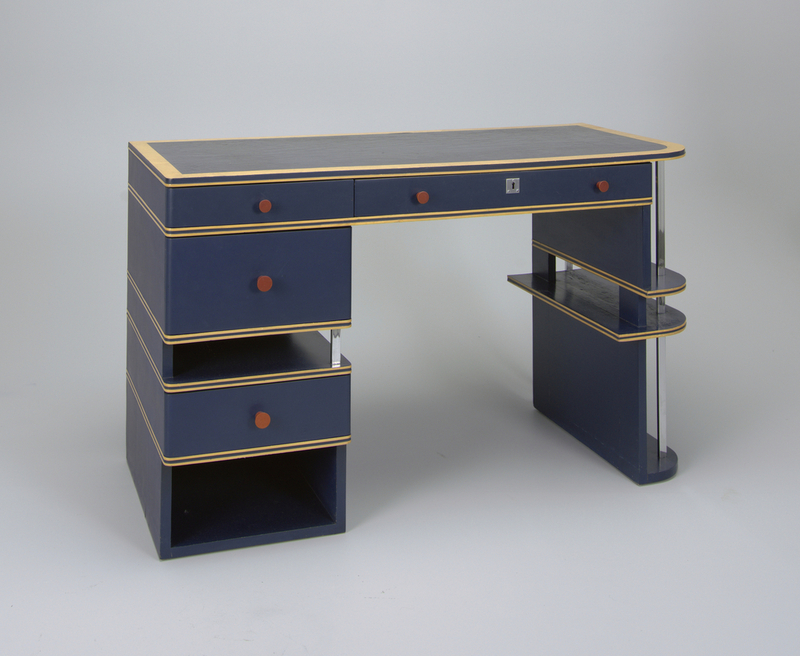 This fine example of early 1930s streamlined furniture would be the first piece of furniture designed by Paul T. Frankl to enter the museum’s collection. 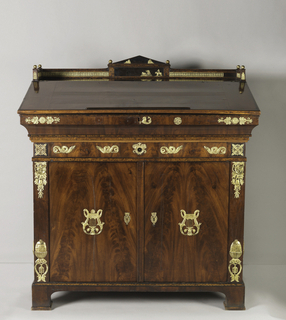 The desk demonstrates a different aesthetic from the sometime silver- and gold-leaf decoration of Frankl’s early work. 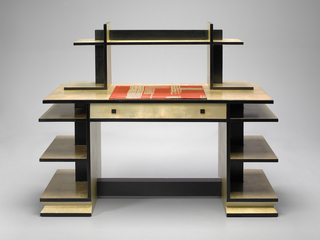 At the time of proposed acquisition, the museum’s collections in general—and the furniture collection in particular—do not have much American modernist design from the early 1930s. Highlights include the Jazz punch bowl by Viktor Schreckengost (1931), Ruba Rombic glassware (ca. 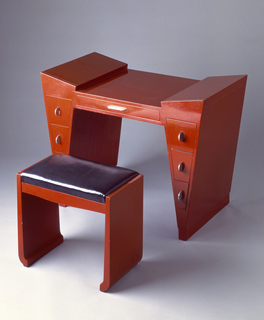 1928), and a side chair by Wiener Werkstätte member Joseph Urban (ca. 1930). 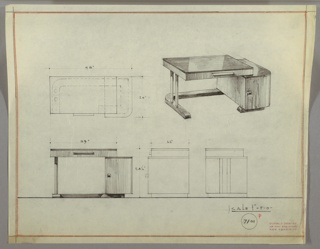 Frankl’s furniture also relates well to the museum’s collection of skyscraper designs and drawings by the American architect Hugh Ferriss. 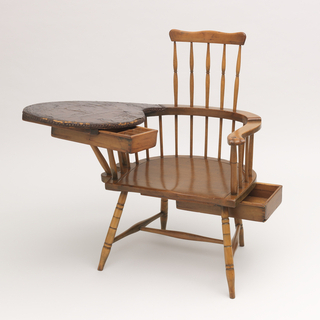 This object was featured in our Object of the Day series in a post titled The Horizontal Line in American Design. This object was previously on display as a part of the exhibitions	The Jazz Age: American Style in the 1920s, Making Design and Looking Forward/ Looking Back: Recent Acquisitions in 20th- and 21st-Century Design.